I’ve listened to this phenomenal Chris Stapleton performance from last night’s Late Night with David Letterman at least 8 times so far today. As I watched it last night, I was extremely proud to be a country music fan. If Stapleton represented what mainstream country music predominantly sounded like these days, I could proudly declare that I was a country music fan without all of the clarifications that I currently have to make. 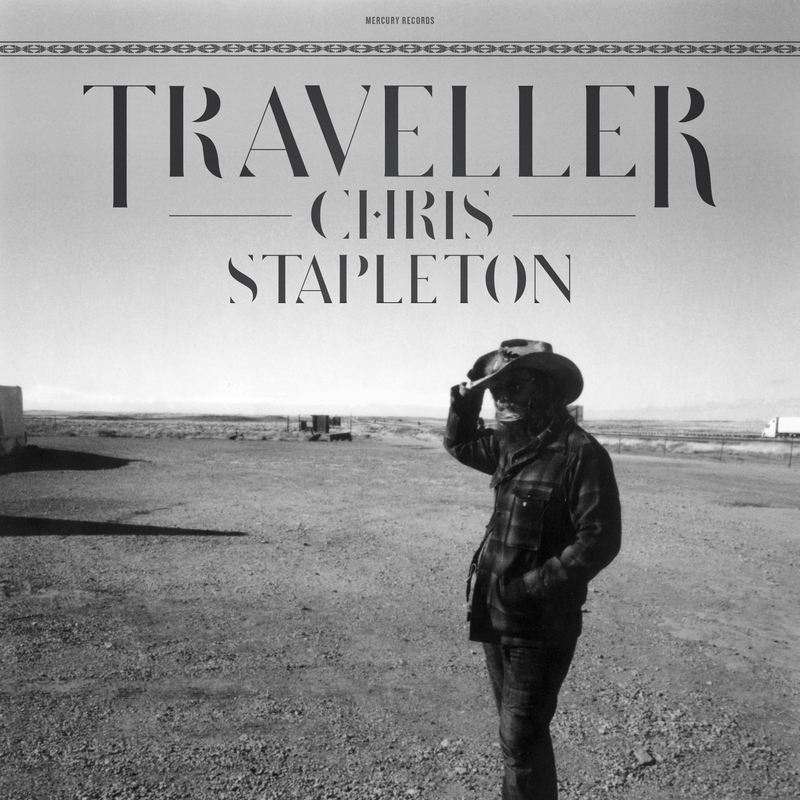 Stapleton’s new album, Traveler, will finally be released on May 5, which can’t come fast enough. So, as a Part 2 to last night’s Daily Top Five discussion of our five most recent music purchases, tonight we’ll ask you what you hope or expect your next five music purchases will be. Since I’ve already preordered the Stapleton album, these are the top five albums that I’m looking forward to purchasing (in release date order). What albums are you most looking forward to? And if they can get around too releasing a new album, Josh Turner and Gloriana. In the near future, we’ll do a post on artists that we hope will release albums soon. Leeann would that be like artists who have yet to announce their albums. Oh speaking of which what’s your opinion on Gloriana Maddie & Tae and Kelsea Ballerini Just curious. That’s pretty much it. Any other album will depend on mood and what I might find on ITunes. I haven’t heard much about what Jamey Johnson has upcoming, but him and Kip Moore are probably due for announcements soon. I like everyone’s list, but add Tyler Farr somewhere in there too. And waiting to hear on news of albums from Kacey Musgraves, The Band Perry, Randy Houser and George Strait. There’s also some non-country releases but I’m leaving that out. While I’m excited George Strait has readied the first of the five albums on his current contract with MCA, I’m not optimistic it’ll be anything different from what he’s been doing. I would love to see him stretch artistically and not play to radio so much. He doesn’t have to anymore. I’m still holding out hope he’ll do a Western Swing album before he’s done. I’d love for Strait to do a western swing album, but I’m fine if he keeps doing what he’s been doing too, because I love it and more of it won’t be a problem for me. As I’ve said before, I’ve come to appreciate him more and more over the years. I’m just glad that 5ive more albums are under contract! I’m looking forward to the Merle/Willie and Alan Jackson albums too. Josh Turner’s new album was supposed to be March 31th. But its release was put on hold. Australian husband and wife country duo O’Shea has a new album “The Famine and the Feast” – not available in the U.S. yet. I have their first 2 albums. Blue Sky Riders second album due Sept I think. I see that Leeann would like to see a western swing album from George Strait. Until it happens, I would highly recommend “Now Playing” by the Western Swing Authority, a Canadian group. (I’m not just recommending them because they’re from Canada and my maternal grandmother was born in Newfoundland.) Stacey Lee Guse has become one of my favorite female vocalists and husband Shane Guse is a very good singer imho. Man though sorry double posting but I just so badly want a Gloriana album with the exception of ZBB LBT and maybe The Band Perry their one of the better country music groups. It’s a shame really cause Gloriana deserves fame more than other artists like oh I don’t know Sam Hunt Cole Swindell Thomas Rhett Raelynn honestly Gloriana looks a lot better than those guys and girl. I asked a Josh Turner Facebook fan group and one person heard rumors of June. If someone drives me to Nashville or lends me a horse, I will swing the sword around! CountryKnight just start requesting it at Mediabase stations that should help it and do it fast Lay Low is not looking that good. Something More Than Free, the new Jason Isbell, will be out on July 17th, so that vaults immediately to the top of my to-buy list. Looking forward to the new albums by Zac Brown Band, Shelby Lynne, Willie & Merle, and Emmylou and Rodney. Though there are a lot more albums than just those five that I’m eagerly anticipating. It’s already been a great year for country albums, and there’s still so much on the way! And I love the idea of a Western Swing album by Strait. And, of course, whatever George Strait releases, whenever the hell it comes out. I think the only other 2015 new release I’m anticipating for sure is the SPECTRE soundtrack later this year. I only keep up with a few artists these days, and half of them just released new stuff last year or at the end of 2013 so I don’t expect much more this year to interest me. and many more that I’m awaiting release dates for! Great news for Easton Corbin fans. I just saw on amazon.com where Easton’s new cd ‘About To Get Real’ will be released on June 30, 2015. Can’t wait.